"Matt is an incredibly talented and experienced man when it comes to organising and managing events. He was a vital part of the planning and preparation for the Southampton Passion, the largest outdoor theatre event the city has ever seen and we literally would not have been able to accomplish our goal without his expertise and knowledge when it comes to arranging events like this. I can thoroughly recommend Matt and his company to you." Neil Maddock, E-Quip Community Arts. 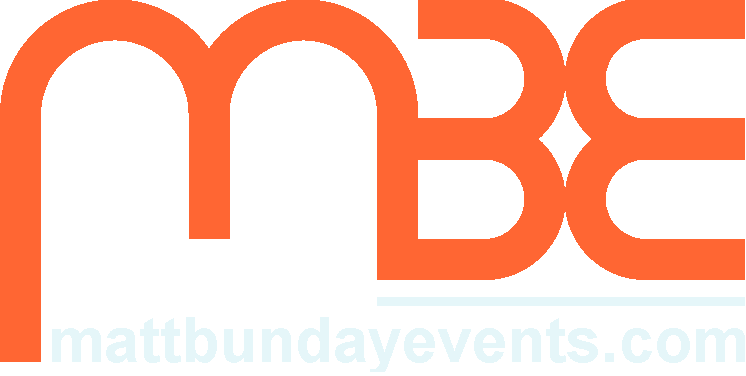 "I couldn’t speak more highly of Matt Bunday Events – always reliable, professional and great to work with. MBE have worked on two mass-participation running events with us so far and things couldn’t have gone smoother each time, both prior to and on the days themselves. The whole setup was great, and in Matt’s very safe hands from start to finish. We’re looking forward to working with them again soon". “Events are a new departure for the Society of St James so the expertise of an event management company for our first Sleep Out was imperative. We couldn't have chosen better. MBE were friendly and approachable, knowledgeable, and professional. Their input was invaluable and lead to us running a successful, safe, fun event which raised over £11,500. Dee Russell, Fund raising team for Society of Saint James. Jane Smith (Society of St James). "MBE are a truly professional and friendly event company to work with. They provided outstanding service and support during the Titanic 100 event which took place in the port of Southampton to commemorate the departure of Titanic 100 years ago on the 10th April. I would highly recommend their services to anyone looking to put on a successful event. Glen Gardiner, Port Operations & Security Manager, Associated British Ports, Southampton. Bob Pearce, BOB PEARCE BAND. "Tony took over the day to day management of the Curdridge Show and his work was fabulous. The Show planning and the whole event went extremely well and the Charity received a sizeable donation of the profits. Tony is easy to work with and gets the job done very effectively." Elaine Flower, Chair, Curdridge Country Show Committee. "We asked Matt to help light, dress and manage the venue for a large scale Scottish Ceilidh that we were putting up, and we were exceptionally happy with the results! The building is quite an odd size and shape, but the time that Matt put in ahead of the show to plan the lighting scheme made the Church look like a different place! We had lots of lovely comments, and it really made the evenings atmosphere. Everything was clearly set out and communicated, and set up and close down were simple and straightforward. I would definitely recommend using Matt’s service if you need something bespoke and well thought out!" "My wife and I were really pleased with the service that Matt Bunday Events provided for my 50th party. Not only did they source a good quality marquee; they also provided lighting and flooring which helped give the occasion real atmosphere. Tony and Matt also made sure it was erected professionally and provided all the necessary safety features; all for a very reasonable price. Many guests at the party commented on how good the Marquee was. I would not hesitate in recommending them to help with your event"
"MBE Events Management organised my 50th birthday party in my back garden for 60 - 70 people in May 2014. They set up the marquee, lighting, and sound system with coloured lighting, in addition to sourcing the tables and chairs and a great disco ball! The team who set up all the equipment and were incredibly hardworking and efficient and continued working until it was all set up to my requirements. They worked into the evening the day before to ensure the lighting they had put up would suit night time and looked good. "They had a professional but friendly attitude, which took away my nerves for what was a very successful event. They visited me a couple of times before the event to plan and run through the list of actions and to ensure we were agreed and on schedule for all the arrangements."